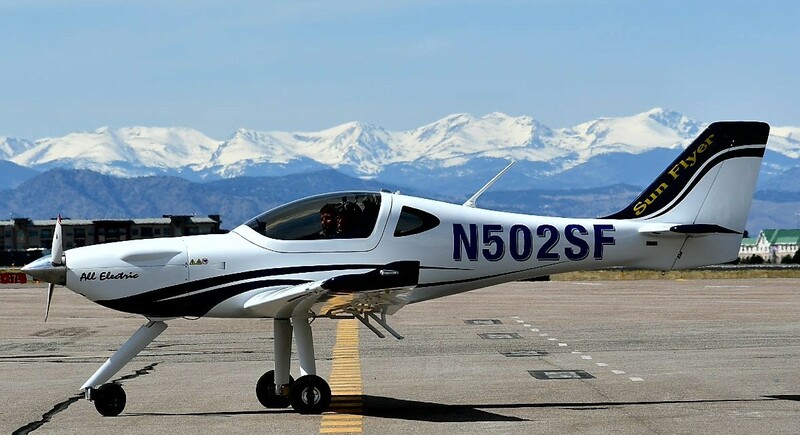 Kaydon Stanzione, a New Jersey engineer and entrepreneur, and the founder of Jaunt Air Mobility, has been quietly developing his company with little to no media presence. 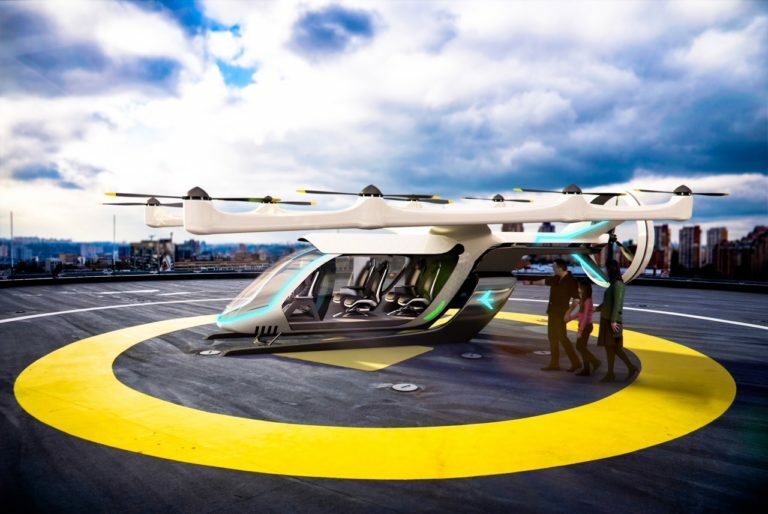 This has been a trend with other rising eVTOL companies such as Beta Technologies, where focus has been placed almost exclusively on development, for a leaner – and possibly quicker – road to their goal. For Jaunt Air Mobility, their goal is to “couple the speed, range and efficiency of an airplane with the vertical takeoff and landing capability of a helicopter along with the unparalleled safety of a high inertia rotor.” To do this, Jaunt has already acquired Carter Aviation Technologies, “aerospace research and development firm that developed and demonstrated Slowed-Rotor/Compound (SR/C™) technology”. Carter has been around since its founding in 1994, and has since flown demonstrators such as the Carter Copter and Passenger Air Vehicle (PAV), which can be seen in the video below. Carter Aviation Technologies, and their new-founded collaboration with Jaunt Air Mobility, has caught the eye of Mark Moore, director of engineering at Uber Elevate. 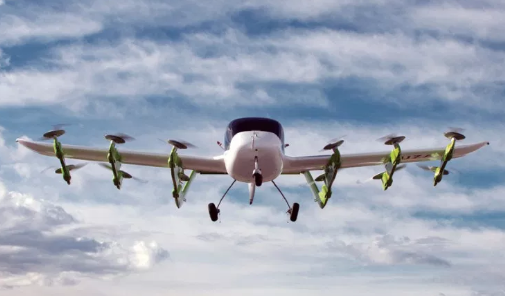 Currently, Uber Elevate has partnered with 5 companies which are all developing their take on fixed-wing electric or hybrid-electric aircraft with distributed propulsion and control systems. 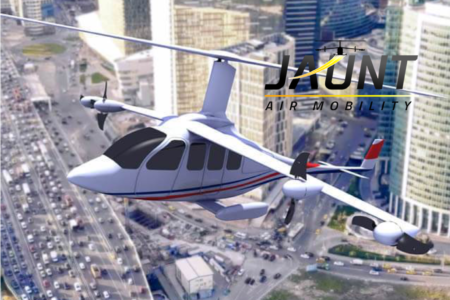 Jaunt Air Mobility could be the sixth company to partner with Uber Elevate given if it receives venture capital funding, and would be the first of the partners to incorporate Slowed-Rotor/Compound technology in their design. 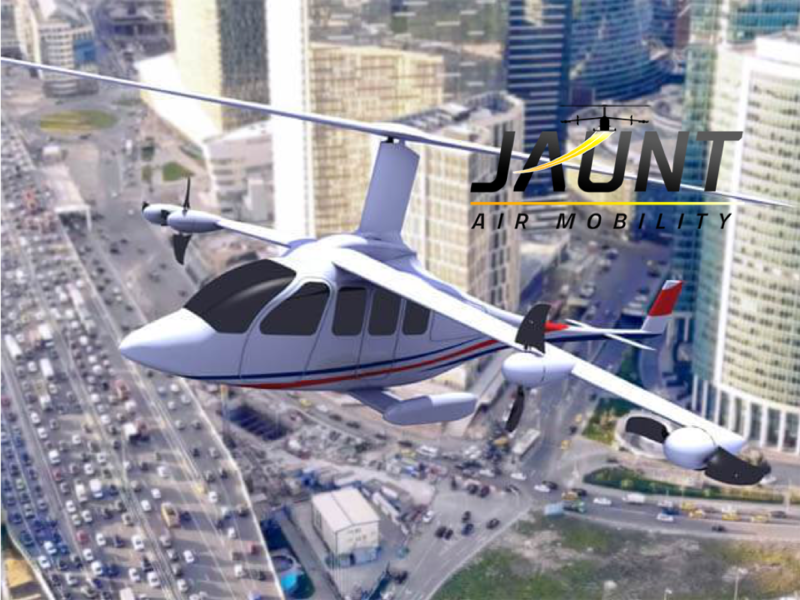 Additionally, since the Jaunt aircraft design combines that of a helicopter and a traditional fixed-wing aircraft, it employs the use of autorotation, which is what makes helicopters safe to fly. The company touts this as an advantage of its aircraft because the air pushing through the large, horizontal rotor ideally produces enough lift to safely land the vehicle. This contrasts other eVTOL designs which would rely on safety mechanisms such as parachutes if the aircraft were to require an rapid-descent landing. Why its important: Jaunt Air Mobility’s hybrid design approach includes important safety features of a high inertia rotor which could enable the aircraft to be a widespread commercially viable option. 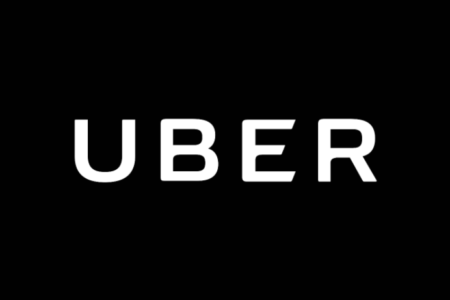 Since Uber Elevate would likely be transporting high volumes of passengers daily, they would need to prove both to the passengers and regulatory agencies that the vehicles they are operating are safe and have reliable safety measures. This, coupled with receiving venture capital funding, could make Jaunt a viable partner for Uber Elevate in the near future. A new startup has emerged in Mumbai, India. VTOL Aviation India seeks to develop a safe, effective, and efficient air taxi for India, even as Uber Elevate eyes the area for initial test flights. It’s possible that because the company is beginning its air taxi efforts now, it will be ready for India market before Uber Elevate arrives. 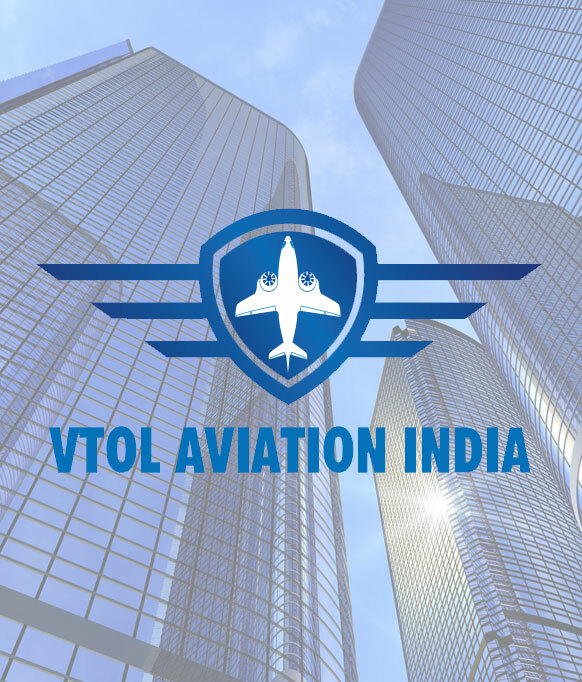 VTOL Aviation India was founded by Mr. Kalyan Chowdhury, who originally held expertise in the shipping and logistics industry in India. The company envisions that its aircraft will be used for civil defense, paramedic & emergency services, surveillance, aviation training, and Tourism & Business Chartering. The ‘transition aircraft’ as the company calls it, is being developed in collaboration with the Indian Institute of Technology Kanpur. It features eight vertical rotors which lift it vertically, and a ninth rear-facing that provides thrust for horizontal flight. Unlike other VTOL designs, the aircraft does not feature a tilting wing, which reduces the amount of complex moving parts on the aircraft and may therefore bring down manufacturing cost. 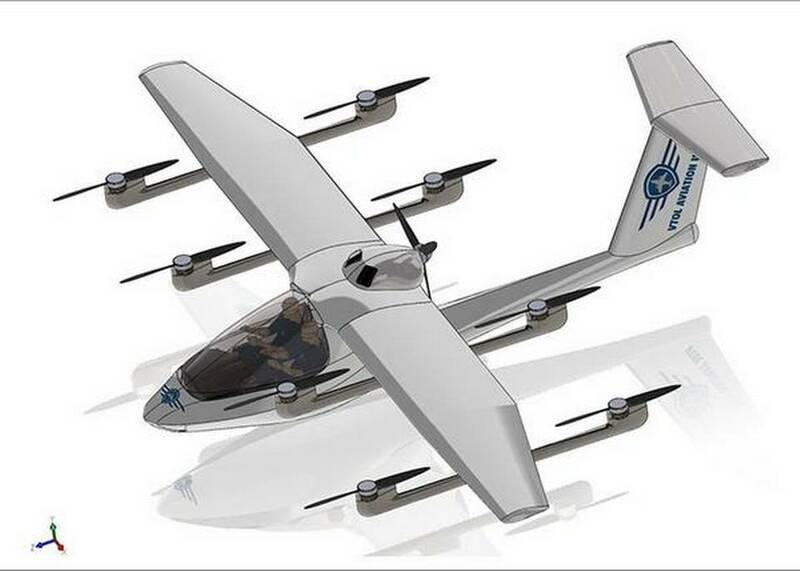 This design is similar to the KittyHawk Cora which is backed by Google co-founder Larry Page. 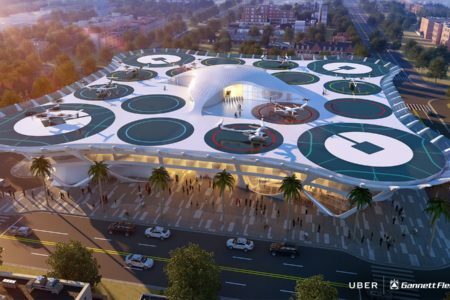 VTOL Aviation India yet has yet to make any comments about its position as opposed to Uber Elevate, but its existence may pressure Uber into choosing India as its first international launch city in order to capture the market before companies like VTOL Aviation India do so. 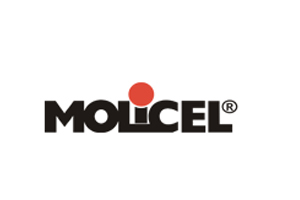 Learn more about the company’s goals and vision here. Uber Elevate has already selected Dallas, Texas, and Los Angeles California in the United States as it’s initial test locations, but is still deciding on third launch location as either Australia, Brazil, India, France, or Japan. Japan has already founded an initiative to integrate flying cars into the market, and officials in Australia have recently met with Uber Elevate execs as well. Why its important: Competition is rising for the emerging on-demand VTOL industry around the world. As the impending success of the industry becomes more and more apparent, it’s very likely that smaller companies like VTOL Aviation India will begin popping up all over the world; as their geographical location would give them a leg up on bigger companies like Uber in their respective areas. On Thursday, Uber Elevate finalized the list of potential international locations for its third city of operations of UberAIR. It includes Japan, Brazil, France, Australia, or India. Uber Elevate confirmed last year that its first two cities would be Los Angeles, California, and Houston, Texas. It also announced that it would enter in one international city. On Thursday, Uber shortened the list of potential countries down to five: Japan, Brazil, France, Australia, or India. 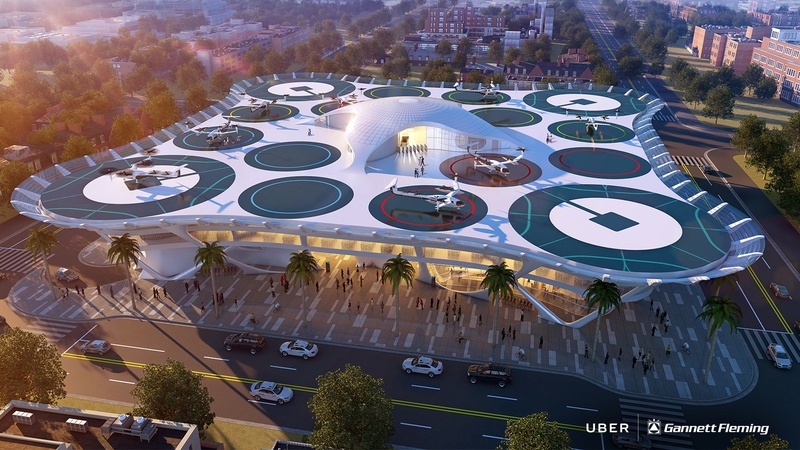 UberAIR originally meant to operate in Dubai as its third city, but Dubai changed its plans. Last February, Uber CEO Dara Khosrowshahi met with the Union Minister of State for Aviation for India, Jayant Sinha. In this meeting, Sinha stressed the need for flying cars in India, and presented Uber with a case for the large consumer base. UberAIR in India would service Mumbai, Delhi, or Bangalore. 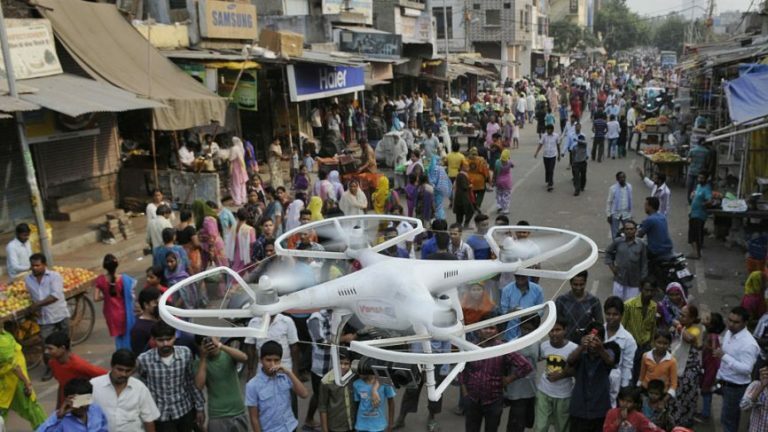 This Monday, India released its ‘Drone Regulations 1.0’ last Monday, just one day before Uber’s Business Officer for Emerging Markets, Madhu Kannan, confirmed India as a potential country for UberAIR. While the ‘Drone Regulations 1.0’ do not specifically allow for e-commerce companies to deliver by drone, it launches India’s ‘Digital Sky Platform’. The Digital Sky Platform is similar to NASA’s UAM software. It is an Unmanned Aerial Vehicle management software that will create a ‘digital highway’ system for drones, allowing users to submit flight plans and understand where they can fly. 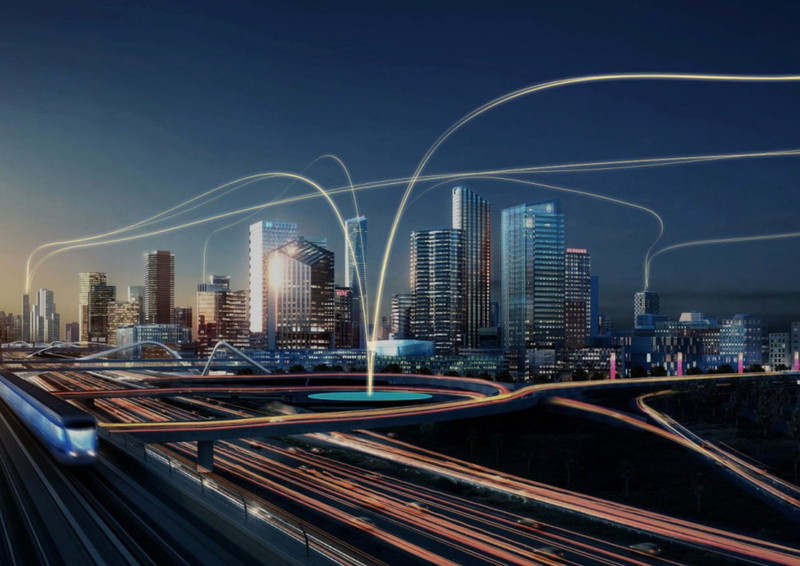 Why it’s Important: Uber’s naming of five cities as potential launch locations inspires competition among the cities to prepare for flying cars. This means that even those countries Uber does not choose will be ready for flying cars sooner rather than later. UberAIR may come into those countries next after its third city, or another operator may have a chance to enter. Either way, flying cars are coming to the international community soon. UberAIR announced Thursday that they’d be adding the University of Texas – Austin to their list of partners that will develop rotor technologies, according to TechCrunch. 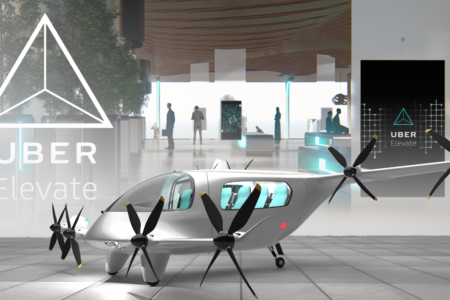 The news enhances the players roster for the Uber Elevate Initiative, which aims to have functional aircraft in operation by 2023 in Dallas, Dubai, and Los Angeles. Uber has established a rigorous eCRM (common reference model) that allows for standardization in mission capability across a range of manufactured flying taxis. Uber is requires a fully electric vertical take-off and landing vehicle that has a cruising speed of 150 to 200 miles per hour; a cruising altitude of 1,000 to 2,000 feet; and a range of up to 60 miles for a single charge. At the University of Texas – Austin, a research team led by Professor Jayant Sirohi, one of the country’s experts on unmanned drone technology, VTOL aircraft, and fixed- and rotary-wing elasticity, will analyze the effectiveness of a stacked rotor system that may replace a classic single rotor configuration. This configuration is called co-rotating, as the rotors spin in the same direction while the aircraft is in flight. 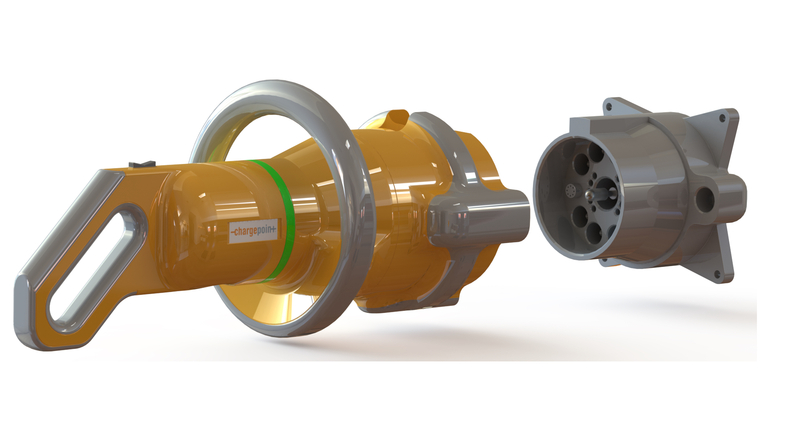 Preliminary studies indicate that there may be a performance benefit to selecting this configuration over a classic single rotor. “There’s a lot of things to be done. We are not doing vehicles. We’re doing a specific rotor system on one of the engineering common reference models that Uber has released. The reference model is a benchmark for what the aircraft should do in field tests and eventually operations”. “We are pursuing these technologies to see what the gaps are in where we are today and where we need to be,” Sirohi said. Why it’s important: The news that Uber has added more partners to their already large and growing list of players in the air taxi industry is a conscious effort by Uber to “surround themselves with the best people in the room” and build out the community and following of their newest planned service in a similar manner to how the original ride-hailing function of the application was grown. Eric Allison, who is Head of Aviation Programs at Uber, told the House Committee on Science, Space & Technology of the higher speeds (up to 200 mph) and more reliable timing of the planned Uber Elevate initiative at a meeting Tuesday. These figures are being used by Uber to lay the foundation for a positive relationship with government representatives. In his opening remarks before Congress, Allison reiterated points in the 2016 Uber Elevate Whitepaper: safety and affordability. Don Beyer, a rep from northern Virginia on the committee, asked Allison: Will there be air traffic jams or crashes? What happens if 25 percent of the the cars are taken of the interstate, does that congest the air above? And what are the air lanes? 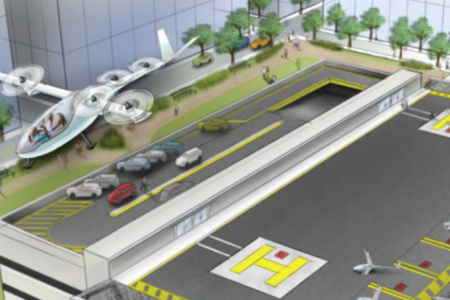 Are flying cars going to fly above neighborhoods? 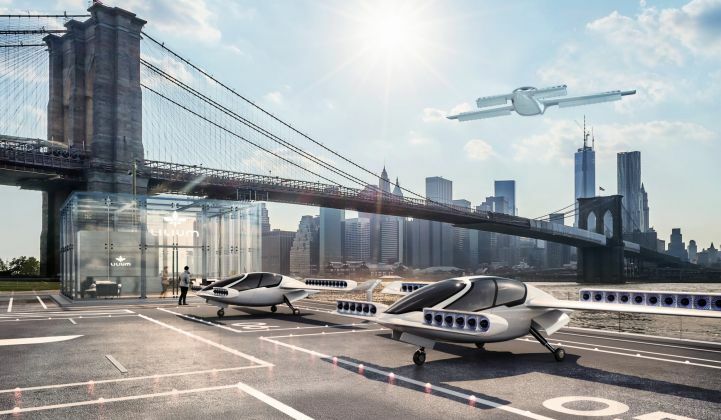 “This will happen progressively over time,” Allison said of Uber’s plans for scaling its autonomous — flying machine operations, in answering those questions about the potential for crowded skies. He also noted that air traffic congestion won’t be a problem “because there’s just a lot more space” in the sky. He also said that the still-in-development aircraft will get “dramatically quieter” once they reach cruising speed. The scalability of Elevate, according to Allison, is something on the order of 10% of all regional trips in the Los Angeles area for any given day. 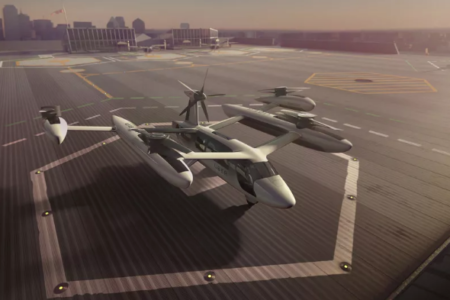 Allison said Uber is partnering with five companies that could build the the VTOL vehicles. 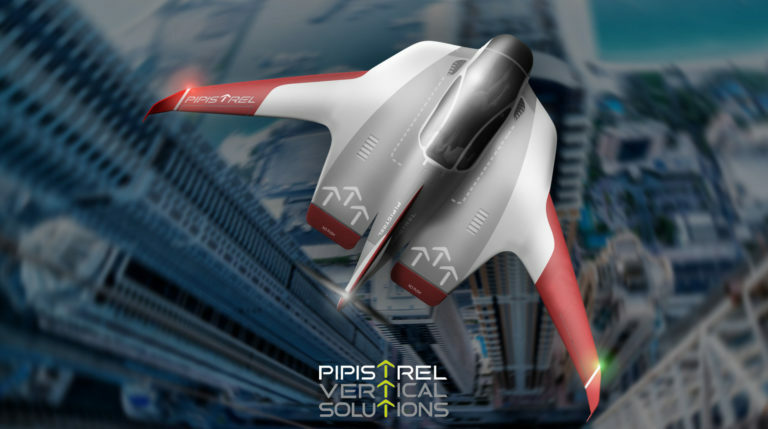 They are Aurora Flight Sciences (a subsidiary of Boeing), Pipistrel Aircraft, Embraer, Bell Flight and Karem Aircraft. Bell Flight’s executive vice president of technology and innovation, Michael Thacker, sat next to Allison during the hearing. Why it’s important: Uber is getting out in front of the political and regulatory hurdles that are touted as the largest barriers to entry for flying cars – and rightly so. The technological progression of design and development of Uber’s partner company flying cars is so rapid that concurrent government relations during final design and flight testing of these aircraft is integral to an on-time rollout of initial flying car commercial services in 2023. 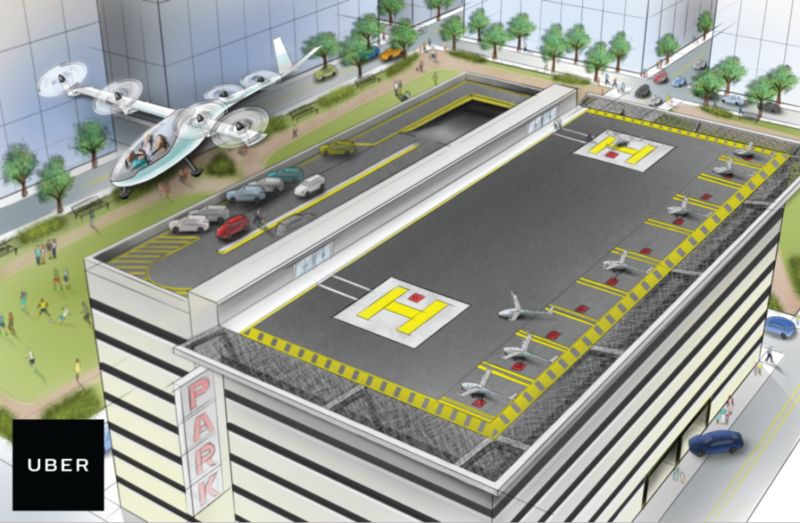 Uber is determined to make flying taxis a reality by 2023 – and the FAA is determined to make sure that they do so in a safe manner. At Uber’s Elevate Summit 2018, FAA Acting Administrator Daniel Elwell spoke with Uber’s Chief Product Officer, Jeff Holden, on the path to certification, Elwell’s involvement in aviation, and the path for both moving forward. While the discussion was somewhat uncomfortable at the beginning, the mood relaxed somewhat when Holden asked Elwell how he became involved in aviation, and what his favorite aircraft was. Elwell is a pilot, and quickly took the prudent move of making the offhand remark that he can’t really comment on that due to a conflict of interest. More importantly, Holden asked Elwell a question selected from the audience: would Elwell fly in a self-piloted aircraft? Elwell’s response was a resounding “absolutely”. Other inquiries focused on if Part 23 regulations required a complete rewrite to accommodate flying cars and taxis, to which Elwell qualified: “I don’t think that we’ll have to completely revamp Part 23”, moreover, Elwell added that more likely than a complete rewrite were some amendments and changes to the regulation. The overarching theme of the complex regulator – operator – manufacturer relationship in the eVTOL industry is completely original. In the past, the pace of aerospace was well defined, and projects progressed with predictable speed. With the involvement of a larger portion of technology firms, agendas are pressed harder, deadlines are set more ambitiously, and in this case the technology is ready before regulators are. This is the heart of the issue, especially with the larger regulating bodies such as the FAA and EASA. Some eVTOL companies are taking alternative approaches and working with different regulators, such as Larry-Page backed Kittyhawk Aerospace, which is working on their Cora concept in New Zealand with the CAA. Read TUP’s article on Cora here. The final take: Regulators are being pressed like they’ve never been before to determine how they’ll modify regulation to account for an entire new type of aircraft to certify. Simultaneously, as government entities focused primarily on the general public’s safety, regulators are balancing modification of regulation with the exact same high level of safety standard. 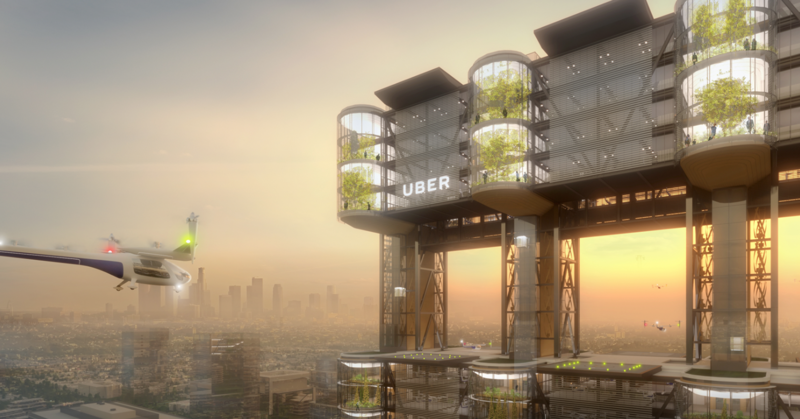 UberAIR announced 6 different architecture firms’ concepts at the Uber Elevate Summit on Wednesday. Gannett Fleming’s concept, called SKYPORT by Gannett Fleming, features modular components, each called”The PAW”, that allow scalability. SKYPORT by Gannett Fleming was featured prominently during the Summit, and for good reason. The video below provides a fairly comprehensive overview of the SkyPort, including some of its unique features that make it particularly attractive among other options presented at the Summit. The PAW concept targets 24 second intervals of eVTOL’s taking off and landing for a pad of this size, coordinating the loading and unloading processes by using three outer landing sites per large “lily”. The concept should be able to handle 1000 takeoff/landing cycles per hour. Brian Smith, VP of Gannett Fleming, commented on the goal of the Skyport design and emphasized that the results were testament to the level of interdisciplinary efforts that merged to create a design better than any one discipline could have hoped for. Gannett Fleming leveraged policymakers, conventional architectural know-how, and additional aerospace consulting to develop the Skyport. This aerospace consulting was an interesting add for the firm – it helped Gannett Fleming design diffusers that deflect rotorwash from arriving and departing eVTOL’s and also reduce the noise level in congested urban areas. Additionally, this extra aerospace research identified the correct gap ratio for the diffusers that yields a simple, elegant, and most importantly functional design. PAW has a through-put capacity of 52 eVTOLS per hour, which is enhanced by a wire guided robot that captures the front landing gear of the eVTOL, lifts the gear inches off the tarmac, and rotates the vehicle 180 degrees to position it to taxi for immediate take-off. 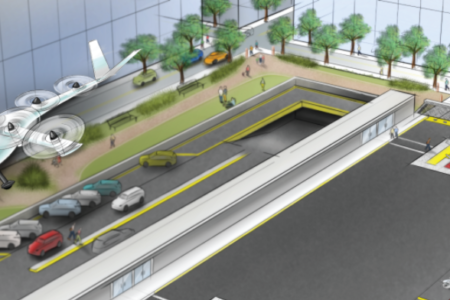 According to the firm, the SKYPORT concept can accommodate 208 vehicle operations per hour with a quad-paw arrangement and would require 1.3 acres of land. Provides a storage and recharging site for Uber’s autonomous vehicles and eVTOLs. 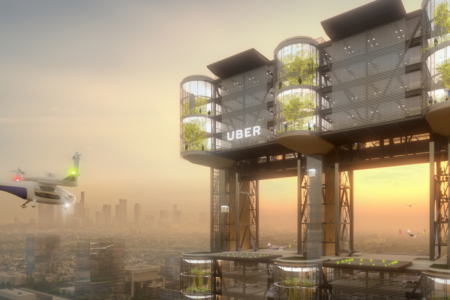 Why it’s important: Gannett Fleming’s concept is but one of six finalists for the UberAIR SkyPort challenge, but represents a huge leap forward in original applications of architecture principles with multi-disciplinary constraints. The coordination and collaboration between all respective disciplines is opening up new design approaches and considerations that have the potential to spill over into everyday design as well. Speaker Series: A Simplified Cockpit Experience – featuring a number of test pilots and regulators, this panel should touch on the importance of defining a simplified cockpit and the advantages of this configuration during the transition from manned to unmanned aerial transportation systems. For a full overview and schedule of Elevate Summit 2018, go here. This year’s Uber Elevate Summit marks the second annual gathering focused on advancing the flying car and taxi market. 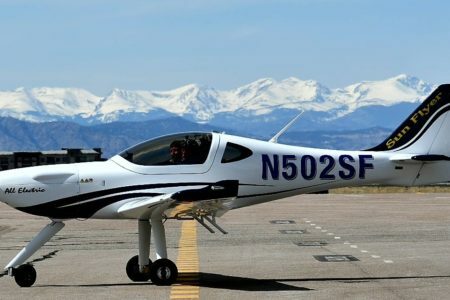 The Summit also promises to yield a number of exciting announcements on recent developments from representatives at companies such as Embraer, Pipistrel, Bell Flight, Aurora Flight Sciences, and ChargePoint. 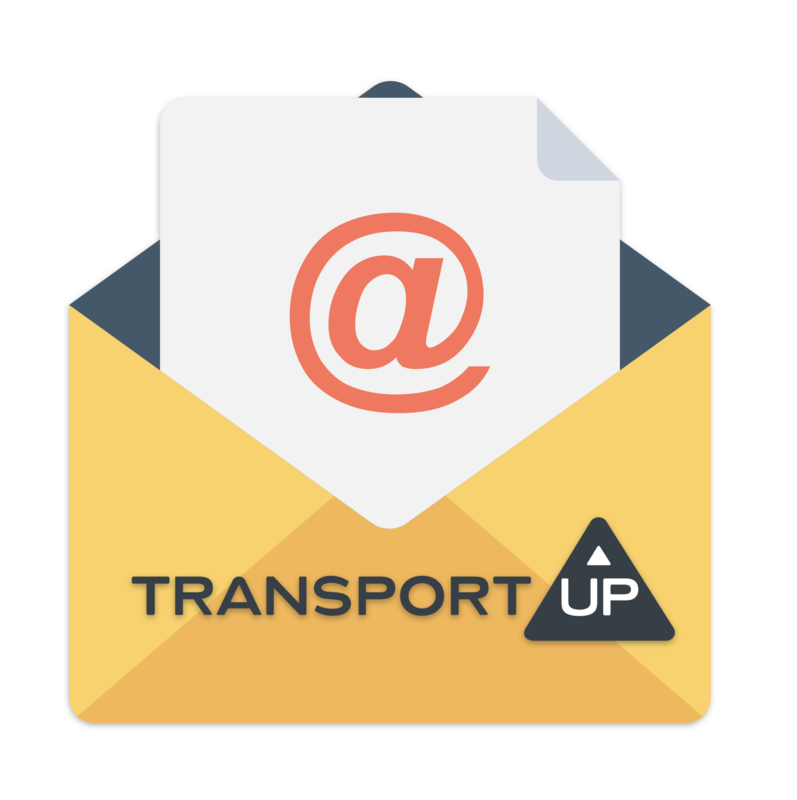 Be sure to refer back to transportup.com throughout the course of the two-day summit for daily recaps of the events. 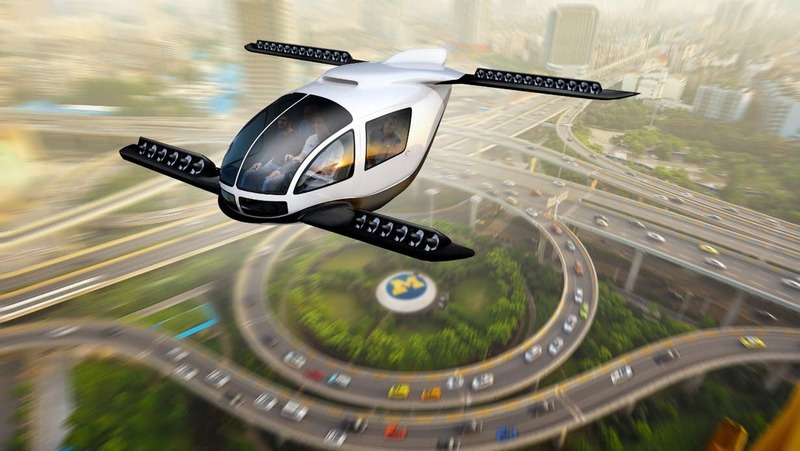 Michael Thacker, Bell Flight: Bell Helicopters rebranded themselves as Bell Flight earlier this year, marking the transition toward a heavier focus on flying cars and taxis. At the inaugural Uber Elevate conference last year, Bell showcased a glimpse of the vehicle that they’ve been working on – expect to see a little more, if not a full reveal, of their concept Tuesday. Paulo Cesar de Souza e Silva, CEO, Embraer: The EmbraerX development team is sure to bring exciting announcements on the progress of their work over the last year. 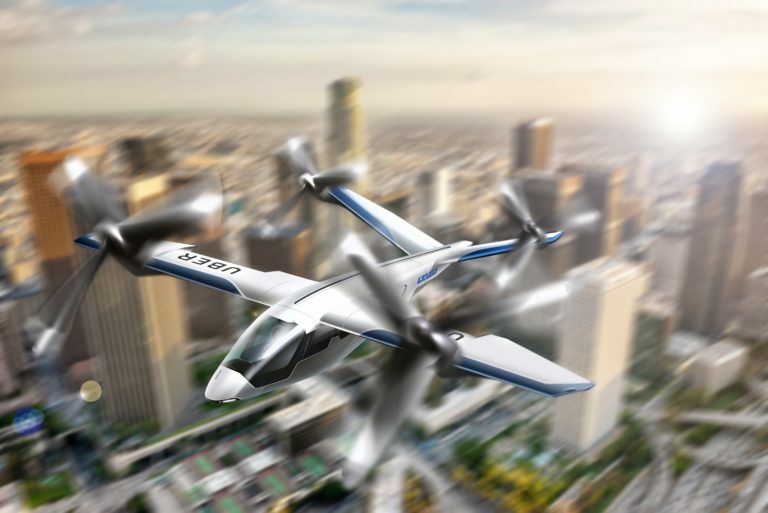 Even more interesting are the dynamics between Embraer’s work and Boeing’s eVTOL efforts – Boeing and Embraer engaged in merger talks earlier this spring, and Boeing also purchased Aurora Flight Sciences, another eVTOL company. Expect some comment on this relationship during this talk. 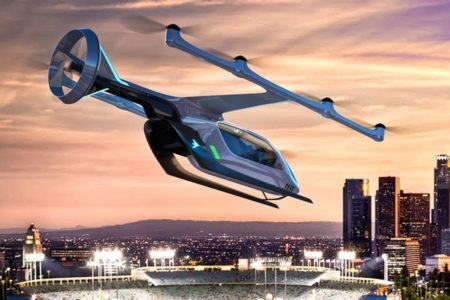 Bell Flight’s concept unveil – the concept was touted last year, and limited sneak-peaks of the eVTOL were released – however after another year more substantial reveals may be disclosed. Embraer and Boeing // Aurora Flight Sciences – will the relationship between Boeing and Embraer be complicated by potential merger talks that are still ongoing? Make sure to listen to talks from Embraer and Aurora Flight Sciences for more. Takeaways: The first day of the Uber Elevate Summit 2018 will be jam-packed with heavy hitters announcing their past year’s work and developments. 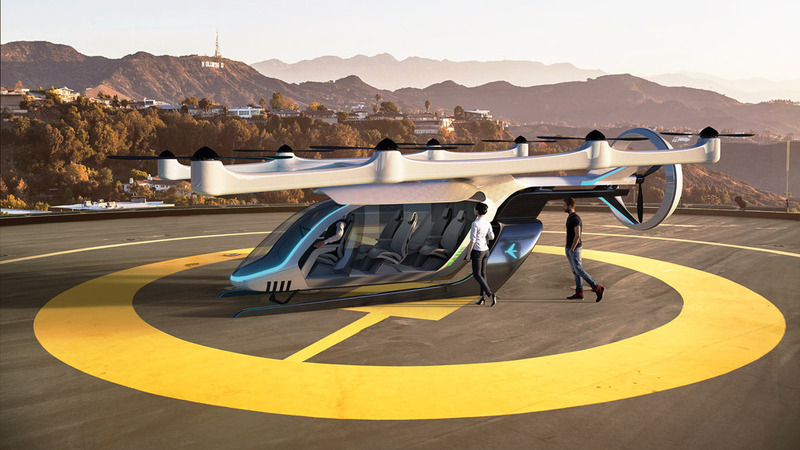 By the end of tomorrow, Bell Flight may have will released their full eVTOL concept, and Embraer and Boeing may more clearly define how their vertical flight development programs are linked (or not). Check back Tuesday evening for a recap of the first day of the conference and a preview of Wednesday’s docket. Uber and Embraer announced a partnership in May to bring flying taxis to market by 2024, and recently at South by Southwest in Austin, TX they jointly issued a statement that their estimate has been advanced to 2023. Uber confirmed that the planned autonomous flying taxi would travel at 150 miles per hour, six times faster than the 25 mph average of traditional Ubers in rush hour traffic. This speed difference corresponds to a 20-times cost difference, according to Uber. 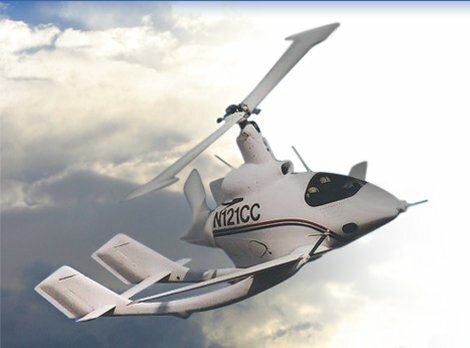 Anticipating regulation complications due to the completely original nature of the proposed flying taxi, Uber and Embraer agreed that commercially – rated helicopter pilots will staff the taxis for the first “few million flight miles” until the autonomous operation of the transport can be confirmed satisfactorily safe by the FAA. Finally, Uber estimates that the taxi has the potential to reduce rush hour traffic commute times from 2 hours in some cases to just 9 minutes. Uber announced that its second-annual Elevate Project summit will occur on May 8 and 9 at LA’s Skirball Center. 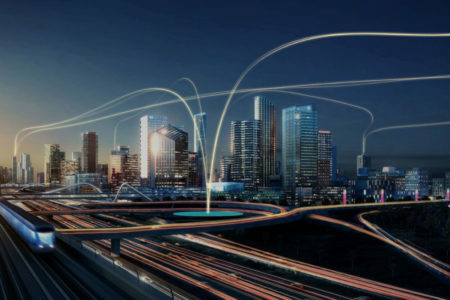 The invite-only event is intended to address three main challenges that UberAir has identified as critical to success of their air-sharing proposal: “Vehicles, Batteries, and Technologies”, “Airspace and Enabling Operations”, and “Moving Cities”. The conference currently includes an all-Uber speaker cast – CEO Dara Khosrowshahi and CPO Jeff Holden – along with recently poached engineering talent from NASA’s Ames Research Center, Dr. Tom Prevot, who is serving as Director of Engineering for Airspace Systems. The details of the conference are outlined on Uber’s Elevate Summit Page. 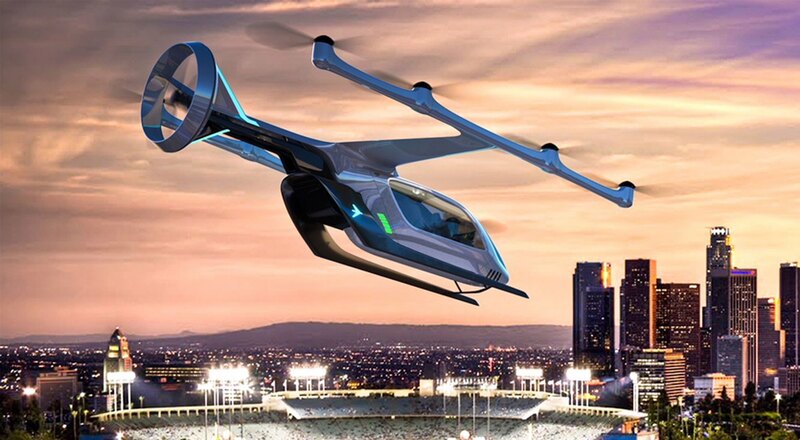 Embraer, Brazilian aerospace conglomerate and third largest civil aircraft manufacturer in the world, has numerous plans for entering the urban air mobility market. 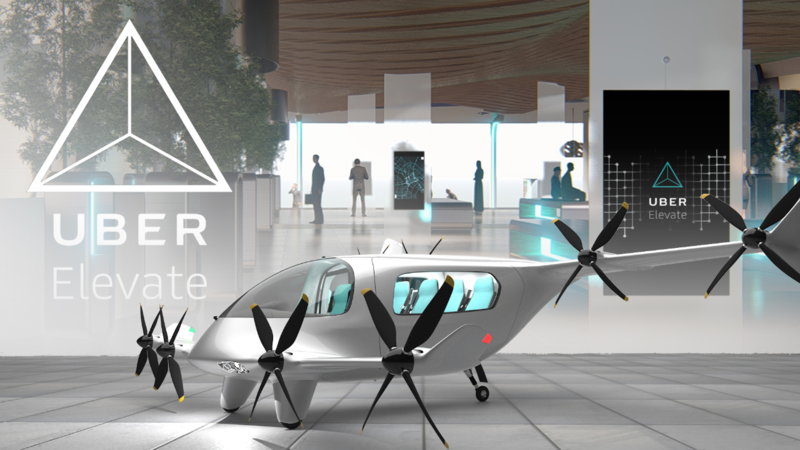 Their disruptive market subsidiary EmbraerX officially announced intentions to enter the UAM market two years ago, and launched their first eVTOL in mid-2018, not to mention partnering with Uber to manufacture urban aircraft for Uber Air by 2023. Embraer’s first eVTOL concept, the DreamMaker. According to Antonio Campello, chief executive at Embraer X, aside from their development processes in vehicles, Embraer has also devoted resources in developing infrastructure for UAM, such as air traffic control and a business network for aerospace offerings. 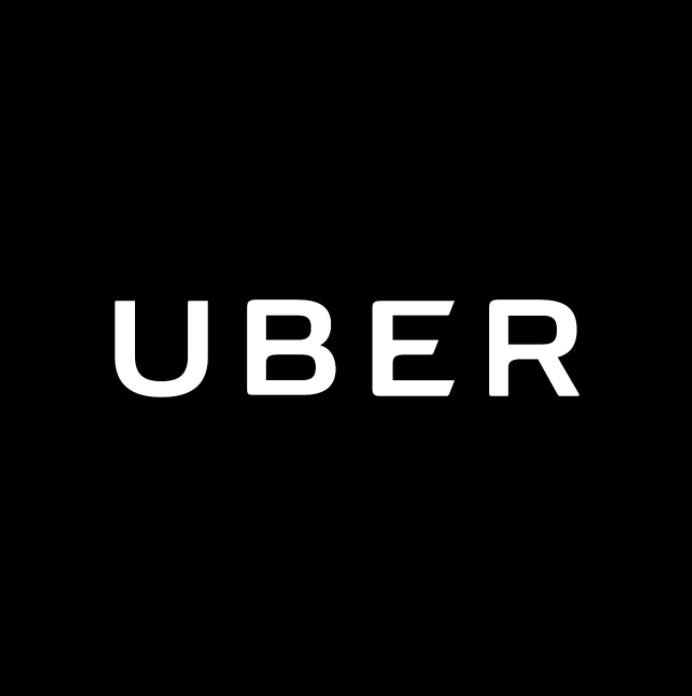 Embraer partnered with Uber in early 2018 to work on Uber Air, Uber’s urban air ride-share taxi service. 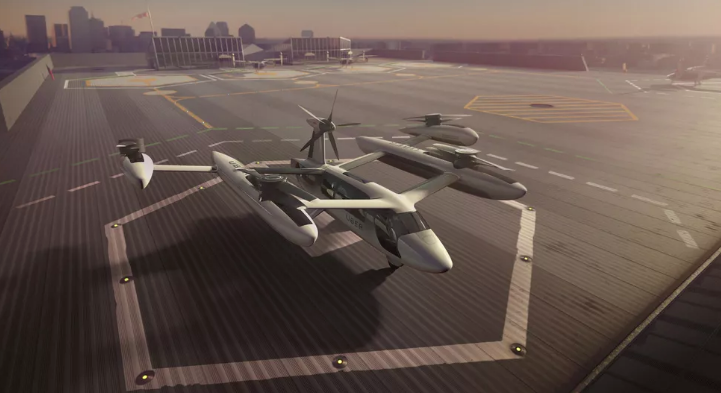 Uber Air is planned to launch by 2023. With numerous companies entering the UAM market in the past five years, Campello believes that Embraer X’s experience with key innovation ecosystems, and possessing substantial amounts of wealth and resources, are the key competitive advantages that Embraer will be able to use to gain control over this newly developing market. Another issue will be dealing with public sentiment regarding UAM. 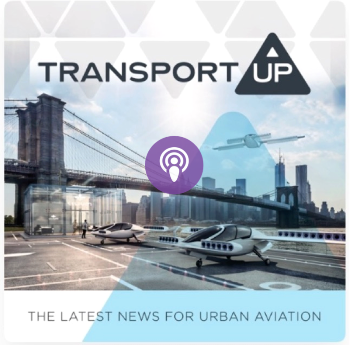 While Campello is confident that commercial urban air travel will occur within five years, the timeframe for Uber Air, the far bigger issue will be to bring about customer acceptance and successful integration in UAM infrastructure and socioeconomics. “Relieving bottlenecks in large urban centers may require a ‘3D solution’ alongside a lot of other changes, but [eVTOLs] will enable many people to fly for an attractive price, so [air travel] will become a lot more pervasive,” says Campello. 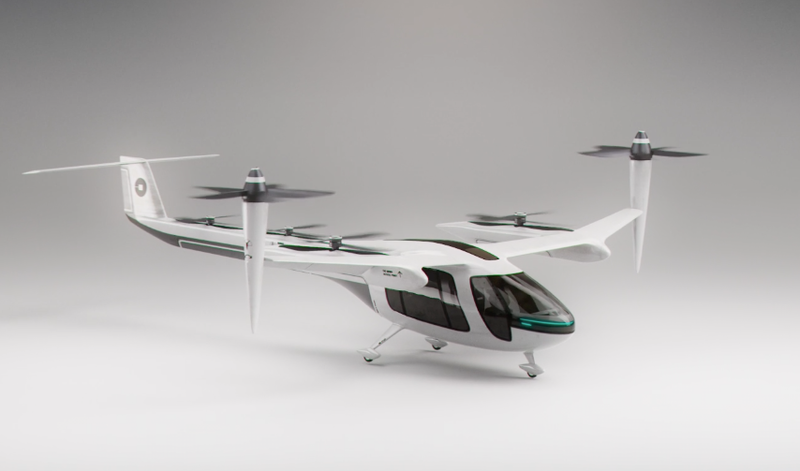 Why it’s important: According to Campello, eVTOL vehicles will become a reality “way sooner than most people think.” The top three producers of civil aircraft have all entered the UAM industry in some format. With Embraer already supporting the manufacturing process behind Uber Air, and several directions within the UAM industry, such as infrastructure and socioeconomic factors, the suggested time frame of five years until commercial UAM becomes a reality doesn’t seem so far-fetched. UAM has not only interested many innovative startups, but has also successfully grabbed the attention some of the biggest companies in aviation, a strong win for the industry. The University of Michigan released a study, published in the Nature Communications on April 9th, comparing the efficiency of conventional ground transportation to a theoretical eVTOL aircraft. The study compared the energy consumption of these vehicles in various scenarios, accounting for various numbers of people and distances. 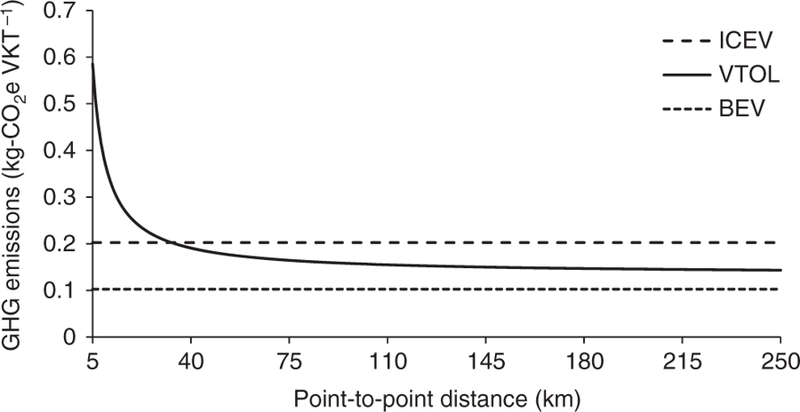 The research team found that for the first 40 km (25 mile), eVTOLs had vastly higher energy consumption, with emission tripling that of an internal combustion engine vehicle (ICEV) and 6 times that of a battery engine vehicle (BEV). However, past that 40 km mark, the energy consumption for eVTOLs fell drastically, with eVTOLs being actually more efficient than ICEVs, and slightly above that of BEVs. This was also under the assumption that eVTOLs would be carrying more passengers compared to ICEVs or BEVs. For the actual emissions per passenger for a trip lasting 100 km (~60 miles), eVTOLs were 52% cleaner than ICEVs and 6% cleaner than BEVs. ICEV: Internal combustion engine vehicle; VTOL: Vertical takeoff and landing; BEV: Battery electric vehicle. Considering that current transportation is responsible for 28% of greenhouse gas emissions in the U.S, with 60% of those emissions come from light duty vehicles like passenger cars, it is probable that we see a shift soon to more BEVs and eVTOLs as opposed to the current dominance of ICEVs. 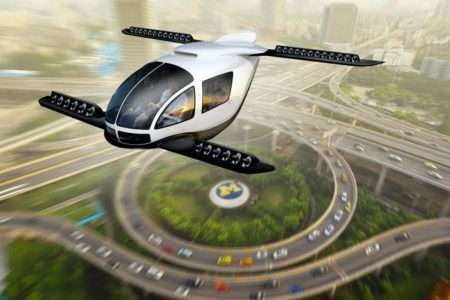 Why it’s important: University of Michigan’s recent study adds support to the benefits that urban air mobility possesses over conventional transportation, and may lead to increased interest from the general public. While purely a theoretical study, the University of Michigan’s findings may hold significance for the companies interested in entering the UAM industry, specifically in how they should decide structuring their approach into not only creating an actual prototype and final product, but also what specific types of services they will provide with the most benefits.